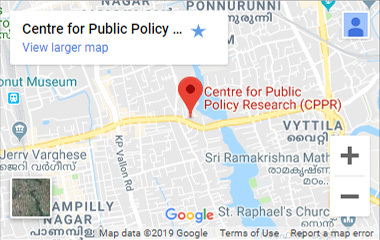 CPPR – Centre for Strategic Studies, Kochi in collaboration with the Consulate-General of Japan in Chennai hosted the two day International conference curated around the theme ‘India and Japan: Growing Partnership and Opportunities for Cooperation’ on February 26-27, 2019. Over 80 participants and 15 speakers took part in the conference where economic and security implications of Asia Pacific transformation, India-Japan maritime visions in Asia Pacific, India-Japan Partnership in information age, trade and investment etc were key topics of discussion. Edgar Morris, recipient of one of Japan’s highest civilian honours, Order of the Rising Sun (Gold and Silver Rays) with the Emperor’s Medal of Honour was felicitated by the Deputy Consul General during the event. Delivering her inaugural address Madam Hiroko Taniguchi, Deputy Consul-General, Consulate-General of Japan in Chennai reiterated Japanese Prime Minister Abe’s idea of the Free and Open Indo-Pacific (FOIP) and looked forward to a strong partnership with India. The Keynote address was delivered by international affairs analyst Dr. Kanti Prasad Bajpai, Wilmar Professor of Asian Studies, Lee Kuan Yew School of Public Policy, National University of Singapore. He pointed to the converging national interests of India and Japan and analysed the strategic choices in front of them in the context of China’s rise and the US’s erratic behaviour.